These gluten free, vegan, and refined sugar free Chocolate Peanut Butter Energy Bites make the perfect snack! They are so easy to make and come together in about 10 minutes. Energy bites are one of my favorite snacks to make every week. Yes, EVERY week! I love how convenient they are! They also really satisfy my sweet tooth in the middle of the day and keep me from reaching for a not so healthy alternative. Energy bites are also super versatile! You can add SO many different things to make completely different flavors with just a few ingredients. 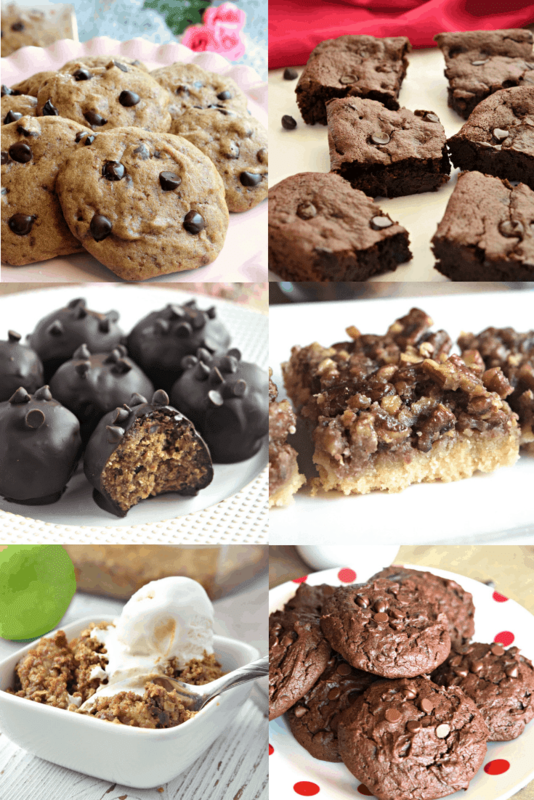 These gluten free, vegan, and refined sugar free chocolate peanut butter energy bites are some of my favorites. I love anything with the magical peanut butter and chocolate flavor combination. It also turns out that dried dates taste AMAZING with chocolate and peanut butter! Last year was the first year I had ever even tried a date and I fell in love with them pretty immediately. Being able to add sweetness to a recipe naturally using fruits is awesome especially since refined sugar gives me headaches. Not only do these dates bring some serious sweetness, but they also add an amazing flavor and texture. If you don’t have dates on hand, you can always use vegan chocolate chips or even another dried fruit. I’ve also added shredded coconut to these and it was a wonderful addition. The possibilities really are endless with energy bites! Almond flour: This is a great source of protein and adds a delicious flavor to the energy bites. Quick cooking oats: Oats add fiber to these energy bites as well as other awesome nutrients. They also help us to feel fuller longer. Flax seed meal: Flax seeds are loaded with nutrients and provide an additional nutty flavor. Creamy peanut butter: This helps hold everything together and pairs beautifully with the cocoa. It’s also our main protein source in these energy bites. Maple syrup: For additional sweetness and flavor. You may also use honey or agave if you prefer. Cocoa powder: To make them chocolaty! Dried dates: I LOVE the additional sweet flavor the dates provide. You can also choose a different dried fruit or use vegan chocolate chips if you don’t have any dates on hand. Mix it all up: Add all of the ingredients to a large bowl. Mix until well combined. Store: In the refrigerator in an airtight container. What are some of your favorite energy bite flavor combinations? I can’t wait to hear about it and hope you love these Chocolate Peanut Butter Energy Bites as much as my family does! Add all of the ingredients to a large bowl. Mix until well combined. If the mixture is too wet to roll, simply place it in the refrigerator for 10-15 minutes to firm up a bit. LOOKING FOR MORE GLUTEN FREE AND VEGAN SNACK RECIPES? CHECK OUT SOME OF MY FAVORITES BELOW!